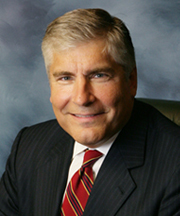 Founding partner of the law firm of Bellavia Blatt, PC, Leonard A. Bellavia, Esq., is a nationally recognized authority in the field of automotive franchise law. Mr. Bellavia spent his life in the automobile business, as his family once owned one of the largest dealer groups in the New York area. 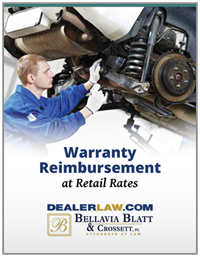 Mr. Bellavia also has commenced mass action lawsuits on behalf of hundreds of dealers in the United States District Courts against Daimler Chrysler, Ford, GM, Snap-On Tools, and the Tribune Company. A regularly quoted source of comment for Automotive News and Auto Dealer Monthly, Mr. Bellavia is a regular speaker for national automotive and marine-related trade organizations. He serves as Chair of the Automotive Franchise Law Section of the Franchise Law Committee of the New York State Bar Association and is the former Chairperson of the Litigation Section of the National Association of Dealer Counsel (NADC) and was a member of its Board of Directors. Mr. Bellavia has been endorsed by the Marine Retailers Association of America (MRAA) as its recommended franchise counsel to over 5,000 marine dealers nationwide.